If there’s one thing Easter is all about for me then it’s chocolate! So I’ve made this rich Easter Chocolate Cake that’s perfect for celebrating with. It’s a chocolate sponge filled and topped with plenty of chocolate buttercream, and I’ve decorated the top with crushed flake bar and mini eggs to create an Easter nest appearance. 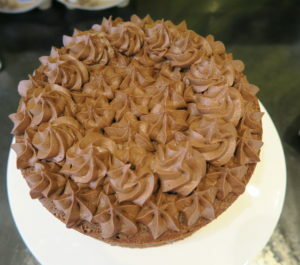 Even if it’s not Easter this is a great classic chocolate cake recipe that you can make any time of year and decorate with any chocolate of your choice. Pretty much everyone loves a good chocolate cake, and this Easter Chocolate Cake would be perfect to serve to your friends and family for dessert after a delicious meal. 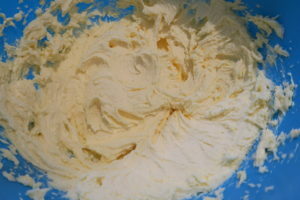 To make the sponge I creamed the butter and sugar together, then whisked in the eggs and milk. 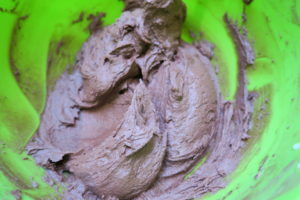 I added self raising flour and cocoa powder, and whisked in. 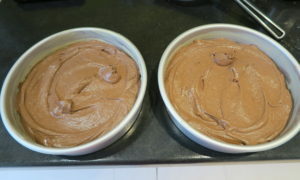 Then I divided the mixture between the cake tins. They baked for 35 minutes and I left them to cool fully. 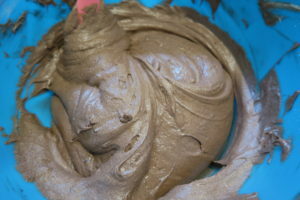 To make the buttercream I mixed the cocoa powder, icing sugar and milk together until smooth. 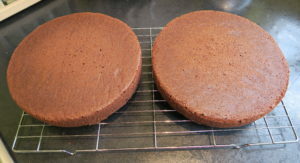 I piped the buttercream onto the bottom layer, then added the second sponge and piped the remaining buttercream on top. 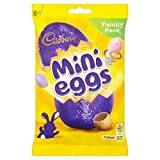 I piled plenty of mini eggs in the middle and added crushed flakes all around them. I love how pretty pastel mini eggs add Easter fun to anything so easily, plus they make this Easter Chocolate Cake look extra tempting! 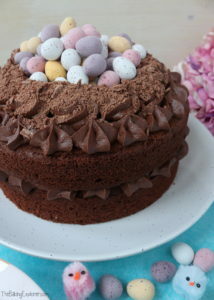 The Easter Chocolate Cake was so moist and absolute chocolate heaven! I’m linking this recipe up with Cook Blog Share hosted by Easy Peasy Foodie, and Fiesta Fridays hosted by Frugal Hausfrau and Ai Made It For You. You can find more of my Cake recipes by clicking here! Or for more Easter recipes click here! 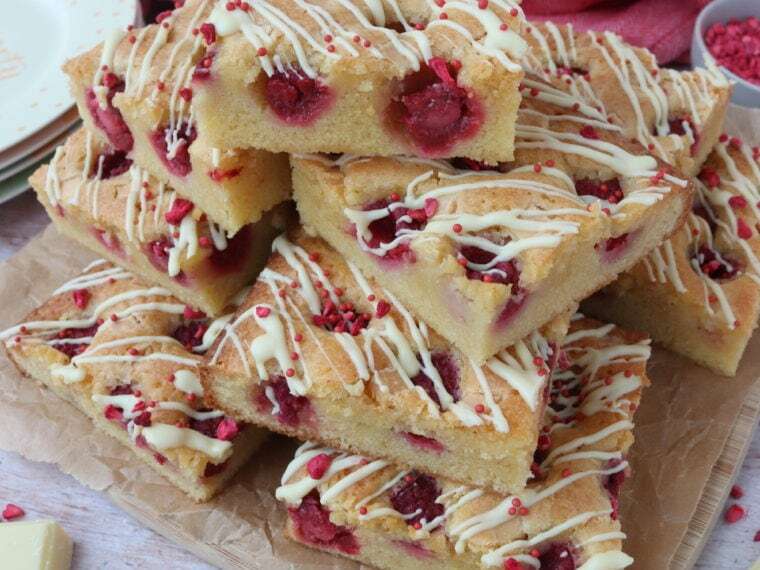 Ooh, I love mini eggs on a cake. This looks so pretty. Looks colorful and easy to make ! Kat, your chocolate cake is adorable! Chocolate cake is my absolute favorite cake of all time. I could have it three meals a day and be content haha. And yours is gorgeous! Thank you for sharing! 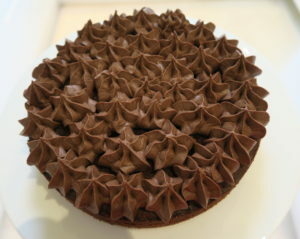 Haha, chocolate cake is pretty amazing stuff! This is not fair! I’ve given up chocolate for lent and this is tempting me! It looks so delicious. I love recipes that are darling, recreatable AND look like they taste absolutely divine. Chocolate on chocolate on chocolate can never be wrong!! Happy Fiesta Friday!